Posted by fliere on Tuesday, January 2, 2018 in News, On the Road, Past Events. 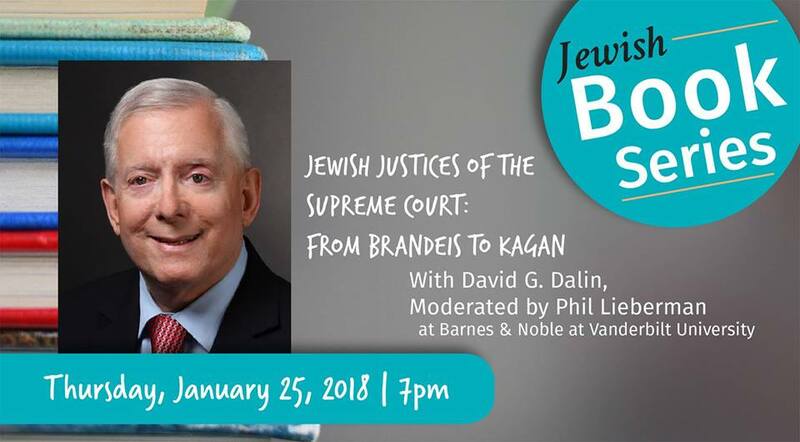 In this upcoming event from the Nashville Gordon Jewish Community Center, Vanderbilt Jewish Studies professor Phil Lieberman will interview David Dalin on the lives, legal careers, and legacies of the eight Jews, from Brandies to Kagan, who have served or who currently serve as justices of the U.S. Supreme Court. They will explore the relationship that these Jewish justices have had with the presidents who appointed them, and given the judges’ Jewish background, investigates the antisemitism some of the justices encountered in their ascent within the legal profession before their appointment, as well as the role that antisemitism played in the attendant political debates and Senate confirmation battles. Jewish Justices of the Supreme Court (2017) examines the lives, legal careers, and legacies of the eight Jews who have served or who currently serve as justices of the U.S. Supreme Court: Louis D. Brandeis, Benjamin Cardozo, Felix Frankfurter, Arthur Goldberg, Abe Fortas, Ruth Bader Ginsburg, Stephen G. Breyer, and Elena Kagan. This talk is part of the Nashville Jewish Book Series, an annual celebration of books, authors and ideas. 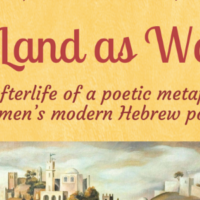 It features work on Jewish themes and topics, work by Jewish authors or work from a Jewish perspective. We go “beyond the book.” You can listen to our authors speak to their new book, discuss the inner workings of their writing or discuss the topics and current events touched upon in their books.